Buc-ee's is biting back, claiming a competing travel operator is trying to steal the likeness of its brand. 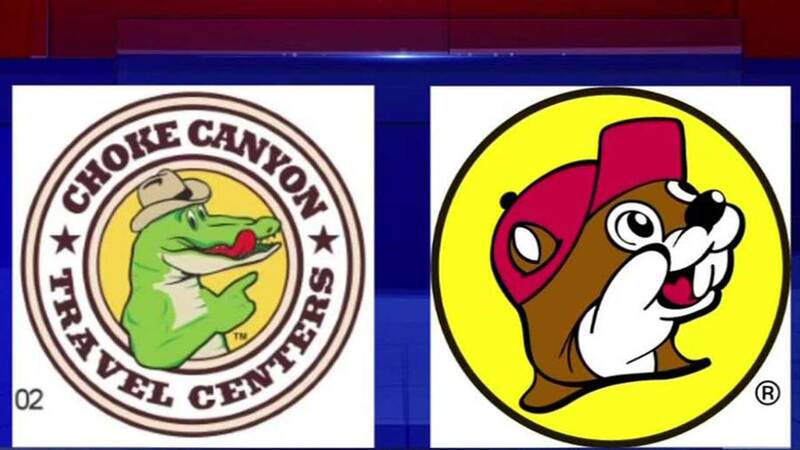 Buc-ee's says the Choke Canyon cartoon alligator logo is too close to their own. But that's not the only problem. In a federal lawsuit, Buc-ees alleges the San Antonio-based company has copied their concept of over-sized, clean bathrooms, abundant gas pumps and parking. You can see the entire lawsuit, including photos, by clicking or tapping here.